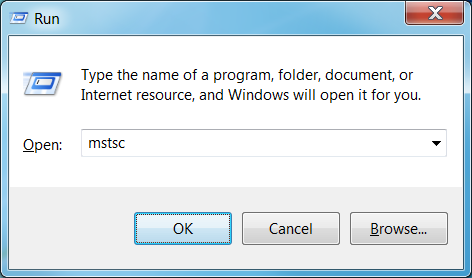 The Run command for Windows Remote desktop application is Mstsc. Just open Run from start menu and type mstsc in the text box next to open and press enter. This command mstsc can be used from command line too. A system running Windows 7/Windows 10 allows only one remote desktop connection at a time, means only one remote user can work on it any time. A computer running Windows server edition can support remote sessions for multiple users at the same time. Every time we connect to the server it opens a new user session. To avoid this we can open a connection to the console. This allows us to login back to the same user session if we already have one. To do this we need to add /console switch to the mstsc command. This command can be run from command prompt or from Run window. Add /f switch to the command. Use /v switch in this case. A RDP file can be created using the ‘Save As‘ button in the General tab in mstsc(Remote desktop connection client) window. These commands work on XP, Vista, Windows 7 and Server 2003/2008 operating systems. There is no Run command for opening remote desktop connection manager directly. It is usually installed in the path C:\Program Files\Remote Desktop Connection Manager\RDCman.exe. By specifying this complete path we can launch connection manager. Good information on the command line switches available with the mstsc command. thank you. i would like to write command script to check whether the servers could RDP or not. we have around 30 servers hence cant run mstsc /v:servername for each. Hence just would like to write cmd script to check all the servers. Could you please help me ? can you please assist me with the system to enable remote access desktop/working into the network user without being there physically,i have i.p address and computer name of the workstation and we are all in one network. Possibly you only have Windows Home Edition, which doesn’t support Remote Connections. 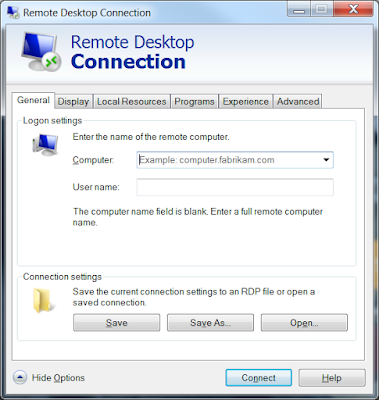 Remote Desktop Assistance is a feature of Windows Pro Editions. “admin” is different than “console” actually. Admin allows you to boot another user. My bad. Hello..is there any option to trigger MSTC on windows boot up, preferably with pre-specified destination server and credentials? Also, if the user logs out of the terminal server, he should get logged out of the local desktop as well. I don’t want to give the user the option of a local desktop. The local desktop is a Windows 7 system. and setting explorer.exe to your AutoIt Program name. I suspect your program would have to be in the same folder as explorer.exe. Also if someone else finds a way to launch explorer.exe it would only function as a file manager, it shouldn’t bring a desktop up. This should also prohibit most windows hotkeys like Win+R since your program doesn’t map it and explorer isn’t running to catch it, I think mostly the Ctrl+Alt+Del would work, but not too many others (Win+L would probably still work or is it Win+K, whatever it is to lock the screen). This will give you a list of the swtches.